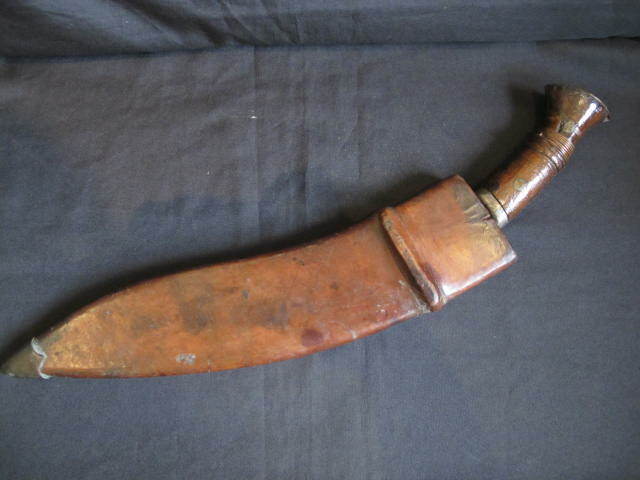 WWI 1918 dated British military issue Kukri. 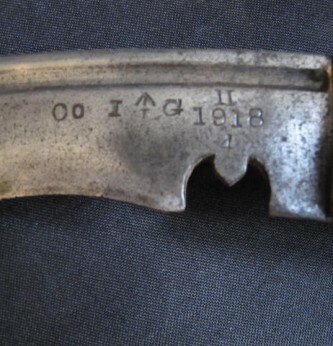 Complete with its correct War Department marked leather covered scabbard. 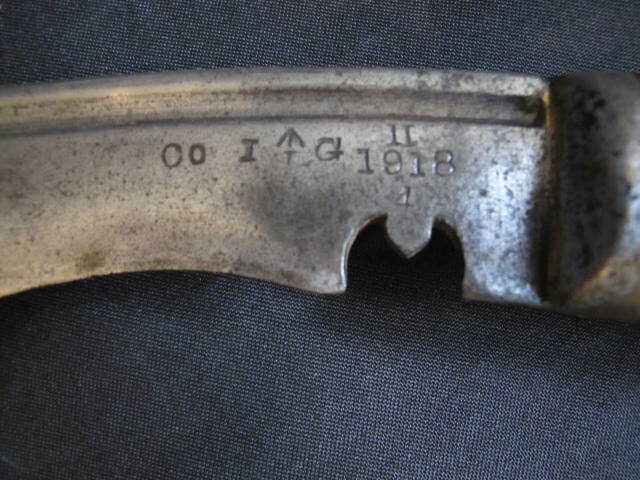 Good blade with clear issue date and Government broad arrow marks. 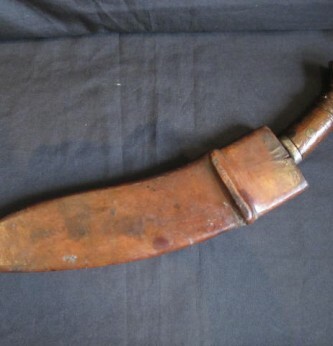 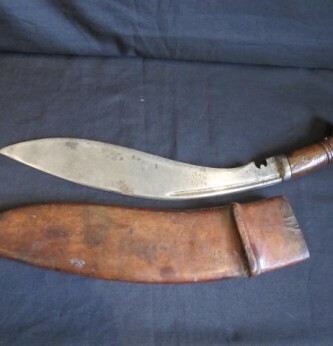 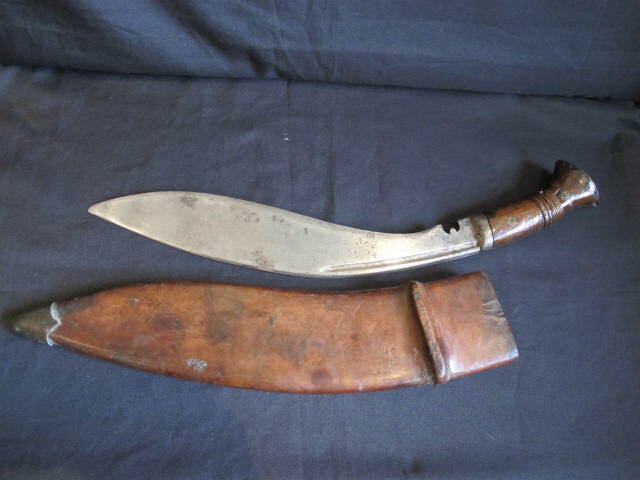 A nice example of this scarce fighting knife carried by the elite Gurkha Regiment who saw much action at the front.